Years ago, I taught writing courses at a university in a Gulf Arab country. My students were young women with stressful lives. Many of them were starting to think about whether their futures would involve travel, more education, or marriage. The students I taught had grown up in a burgeoning Westernized city in which 88% of the population was made up of expatriates. People from all over the world would come to work for two- to five-year contracts. To illustrate the weight of this phenomenon, there was a space-themed amusement park in this city that had been abandoned because the company’s contract ended. Roller coasters and buildings that looked like planets were simply neglected in the sand. Every time a teacher or principal of a school would leave at the end of his or her contract, these students would suffer. Change, to them, was felt as starts and stops in curricula, abandoned textbooks, and unfinished projects. When one person left, a new one came in and did things differently. Another element in this ever-changing environment was that the government in this country is that of a top-down Islamic dictatorship. This means that when the sheikh changes a policy or appoints a new leader, everyone accepts it and adapts. In order to connect with my students and warm up their writing muscles, I always asked them to write in their journals for the first 10 minutes of each class meeting. For 10 minutes twice a week, they could share anything they wanted. Later I read their entries and made comments only on content, never mechanics. I also promised that whatever they shared stayed only between us. My outsider status made me a fairly safe confidante since I didn’t know anyone in their social networks. Journal entries that stand out in my memory include whether or not to get one’s hair cut into “fringe” (aka bangs), spending time with family at the beach, feeling tired and stressed, being hungry (I started carrying snacks), and family illness. One young woman, Mariam, whose name I’ve changed to protect her identity, wrote about the progress of her mother’s cancer. The first entry at the beginning of the fall semester described the shock of her diagnosis. In each entry, the diagnoses and symptoms worsened. Through this, 17-year-old Mariam had to take care of her siblings as well as her mother. As I read each of her entries, I would write comments to be as comforting as possible like “You are so strong for your family!” or “I am so sorry you’re going through this, Mariam.” She never wrote about any other topic during journal time. Each entry was about her mother’s illness. This semester there were major administrative changes at the university. A new president, new provost, and new department chair led to many new policies. As a result, I received pressure to stop the “extra” things I was doing in my classes like journal writing and book reports. Around mid-October, I stopped the journal-writing time and taught only required course content. I deeply missed the intimate communication with my students, but I was shaken by the changes and in survival mode. At the end of the semester, which was mid-January there, the final exam was to write an essay. At the end of a long day of administering exams, I took my stack of essays to a local restaurant to grade them. To help increase objectivity, I try not to look at the name on a paper before I grade it. About 15 minutes into the grading session, I started reading an essay about the death of the writer’s mother. I flipped the paper over and saw Mariam’s name at the top. I felt sick as I realized that three months had passed since I had read about her mother’s progress with cancer. That was the last time I had asked her to write a journal entry and given her time and space to share herself with me. In those three months, her mother had died, leaving this young woman to pick up the pieces and take care of her family. At the same time, she was working extremely hard in my class, and she never said a word about her life circumstances or complained in any way. As I sat in this public restaurant booth sobbing loudly over this essay, I knew that I had failed my student. I had allowed changes external to the class affect what should be the still and constant space inside the classroom. If I could do it over again, I would have tried harder to continue the journals. At the very least, I should have asked my student about her mother. In a world rife with change, we can we must find small ways to give our students stability, whether it’s through keeping an established routine or simply continuing a conversation that we’ve begun. 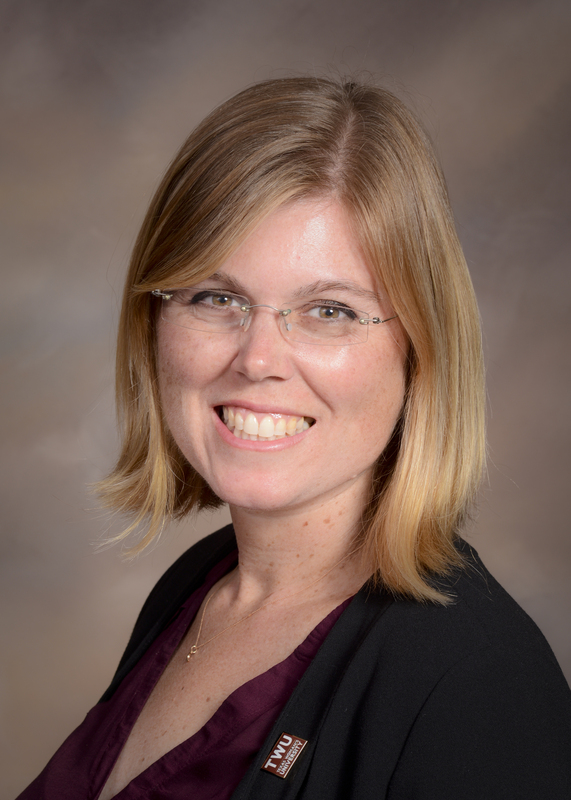 Aubree Evans is the coordinator for teaching, learning, and academic excellence in the Center for Faculty Excellence at Texas Woman’s University. Her research interests are the sociology of higher education, authentic assessment, and power in the classroom. She facilitated ACUE’s program at TWU in 2017–2018. This transparently honest writing reveals why you are both an asset, and a necessity to the world of higher education. You were doing your best. And, you will continue to do your best, and even better, by learning from your experiences. Great story and a great look into your love for the students and your growth mindset.